Comedians Craig Fay and Rebecca Reeds view movies and TV shows from the villain's perspective and dare to ask if they were really all that bad. Produced by The From Superheroes Network. Comedians Craig Fay and Rebecca Reeds view Movies and TV from the villain's perspective and dare to ask if they were really all that bad. 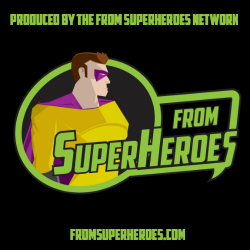 Podcast Produced by The From Superheroes Network.